Chiquita said it is using technology to help promote bananas as well as ensure a sustainable future for the industry. Banana production for the North American market is currently centered in Ecuador. The bananas consumed in North America are sourced mainly from Central America, but during the cooler months during the Northern Hemisphere winter, Ecuador offers a more robust supply due to the greater amount of sunshine it receives. "Chiquita mainly grows bananas from Panama, Costa Rica, Honduras, Guatemala to Ecuador," said Jamie Postell, Chiquita Brands Director of Sales, North America. "Bananas grow best in full sun and temperatures can fluctuate with rain. In Central America, the wet season runs from June to October and that’s when temperatures are usually considerably higher. The dry season runs from mid-November to May. On the flipside, South America is now going through summer. For Chiquita, Ecuador is the most prominent country of sourcing at this time of the year; enabling us to cover fruit shortage from Central America. Ecuador is predominantly located in the southern hemisphere where the wet season (summer) is from October to May." "The challenges faced by the industry have been largely weather related," he continued. "During the winter months, supply tightens due to cooler temperatures. As for Chiquita, weather has been fair in the month of January particularly in Guatemala and Costa Rica. However, we are seeing cold fronts starting to emerge already that could run through late February and impact productivity. Overall, we are confident about our supply outlook." The reality is that the act of supplying bananas to the market - or any fruit for that matter - is not as simple as it once was. For bananas, the TR4 disease is affecting large parts of the industry and threatening the livelihoods of the communities that grow them. To help combat this, Chiquita last year encouraged researchers to work together to find a solution. "TR4 is considered the biggest threat to banana production worldwide, which is why Chiquita is committed to finding a permanent solution for the effective management of TR4," Postell said. "Chiquita has brought together leading scientists, industry players, researchers and institutions to address this impending threat and has partnered with Wageningen University in the Netherlands to do so. In July 2018, Chiquita funded scientists from around the world to meet in Boston to discuss current research and development (R&D) and how to deal with TR4. This was the first global scientific discussion on the subject, bringing together around 60 specialists in this field. Fifteen speakers shared their findings, and participants agreed on a way forward as we continue to search for a solution." On the promotion side, the company has used AR/VR and Shazam to provide customers in stores a "virtual tour" of the brand’s "Behind the Blue Sticker" initiative, which Postell said was a success. 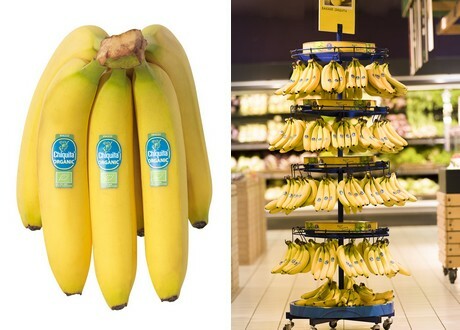 "By scanning the Chiquita sticker, shoppers accessed an AR experience via the Shazam app that transported them into the tropics and followed the journey of a banana from Chiquita farms in Latin America, to the port facility, right across the Atlantic, and all the way to their kitchen table via their favorite grocery store. More than 16 percent of users scanned the sticker worldwide. In the U.S., the campaign captured the brand’s millennial audience - 69 percent of total users. Overall we have had a very positive response from both consumers and retailers for our sticker programs." Other sticker campaigns include the recent partnership with The Lego Movie 2: The Second Part. "Starting mid-January and for a four-week period, more than 300 million blue Chiquita stickers in the U.S. and several European countries will have some of the most recognizable characters from the movie, along with a code that will allow fans to play online games and win themed prizes. We have additional sticker programs planned for 2019 that will also leverage innovative technology and unique experiences to engage shoppers." Chiquita noted that the demand for organic bananas continues to grow. The company shared that organic now represents a 9.5 percent value share of the entire banana category, also citing a Nielson report showing that between 2011-2017, organic bananas dollar sales grew at a compounded annual growth rate of 23.5 percent. The company attributes much of this growth to distribution efforts. "The growth in organic bananas is mainly driven by increased distribution, in response to consumer demand and their interest in transparency across the supply chain process, and free-from products," Postell observed. "Chiquita organic bananas are produced in a manner that can help promote a sustainable, healthy lifestyle. Our sustainability efforts are driven by a vision to invest for future generations from farming to supply chain. This puts the company in a strong sourcing position, providing our retail partners with the highest quality fruit and service to support the emerging demand for organic bananas." Aside from organics, plantain bananas are also seeing good growth, especially in the southern United States. "Chiquita offers many types of bananas to suit everyone’s preference – from conventional bananas, to plantains, mini, manzanos and organics," Postell added. "The most prominent demand is ‘conventionals’, followed by organics which has been growing double digits over the last five years. Plantains is ranked in the third place, and has also been growing strong in the U.S. especially in the southern region. Manzanos, reds and minis are not sizable yet but are treated as specialties among key grocery stores across America." 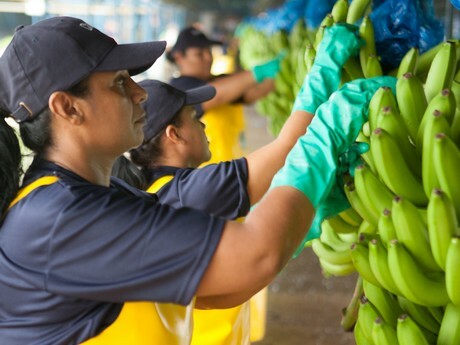 Sustainability is a key measure for Chiquita, with the company looking to make sure the entire supply chain is optimized. In the next few months, they will be releasing their newest sustainability report, which Chiquita says will show that progress has been made across all initiatives. In the meantime, the focus will be on continuing to look for ways in which the banana category can sustain its forward momentum. "Chiquita's focus is to bring to market a banana that is premium quality, and that pleases the consumer," Postell concluded. "Not just with the taste and the appearance, but also with the intrinsic qualities of the banana itself. 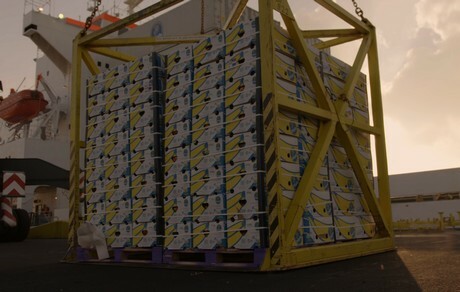 We will continue to invest in logistic programs for a fresher and premium quality banana. We want to be the catalyst and bring the industry together. We believe a path to a sustainable commercially viable species of banana is to improve breeding techniques. That’s why we are teaming up with a team of scientists and some other companies to come up with a sustainable solution to find banana diversity for the wider industry. This of course entails longer term banana programs."